Not my Aunt Emily’s, but this looks similar to it. My Great Aunt Emily was known for being a great hairdresser and a great cook. She was a southern born and raised lady who moved away from a segregated and racist South Carolina to a segregated and not as openly racist New York City. Comfortably adapting to the big city despite being totally deaf, she developed an urban edge and style, but still kept her southern cooking skills. 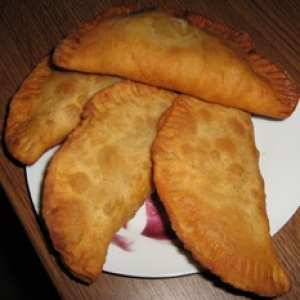 Whenever I visited her, my sweet tooth looked forward to…CRAVED… her hot fried pies. It was the only time I called them fried pies. Usually my family called them apple turnovers when we were on our home turf. They were better than McDonalds, and from a kid, that was high praise. I’ve tried to make them over the years using the recipe I jotted down once, but I’ve never been able to replicate the taste or texture. And people like my Aunt Emily, who cook without using recipes, can never really tell you exactly how much of this or that to put in when it comes to seasonings. You’ll just have to take my word for it that the apples tucked in a flour turnover, sealed shut with a fork around the edges and dropped in a vat of Crisco shortening was simply a heavenly finish to Aunt Emily’s fried pork chops. Those pork chops were to die for and deserve a post of their own. Another day. Speaking of Mickey D’s they wonder why they’re losing customers. Short answer: when I go to fast food places I don’t want the healthy version of a thing. I want the tasty, version of what they used to sell. So, to me, the new baked apple pie will never be tops like the old fried apple pie that was hot and turnover style. You want me back as a customer McDonalds? 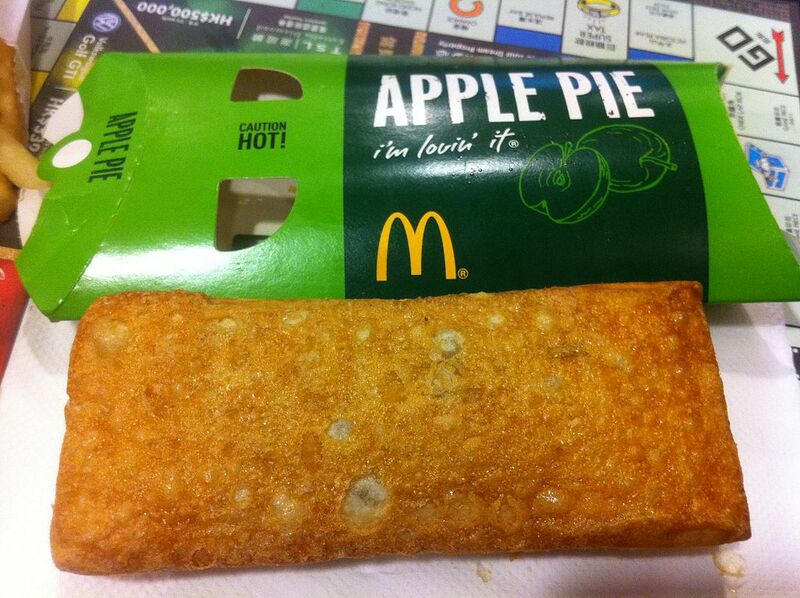 Bring back that real hot turnover—hot, crispy and gooey and warm inside. There are slices of pie of all varieties at The Daily Post Writing Challenge. Thank you for protecting and serving! Ah, this brings back memories! My Grandmother, also from the south, used to make the best apple fried pies. I remember standing beside her while she cooked them. I always wanted the first one out of the fry pan. Ooooo, yes! The fresh out of the pan one. We’d all fight over it. Siblings and cousins. Haha.